Plastic transparent packaging with snap closure mechanism. Fixing the hinged flap. 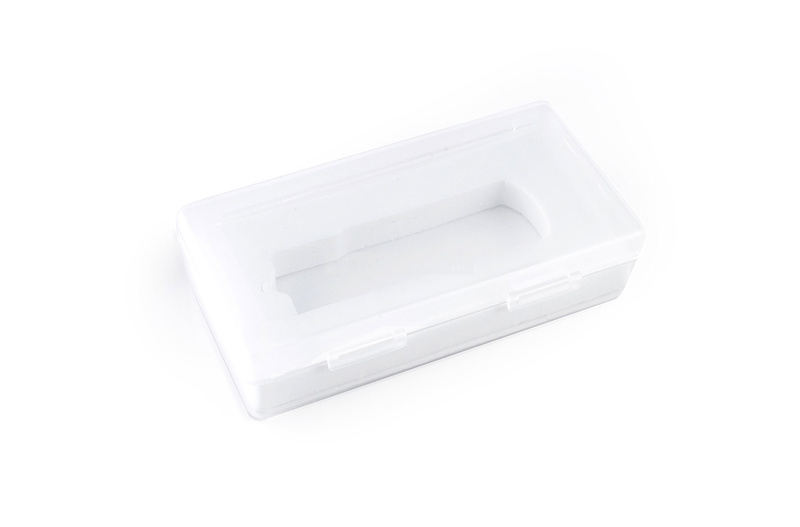 Available in white foam placed inside the box.